Started by metmike - April 6, 2019, 11:51 a.m. 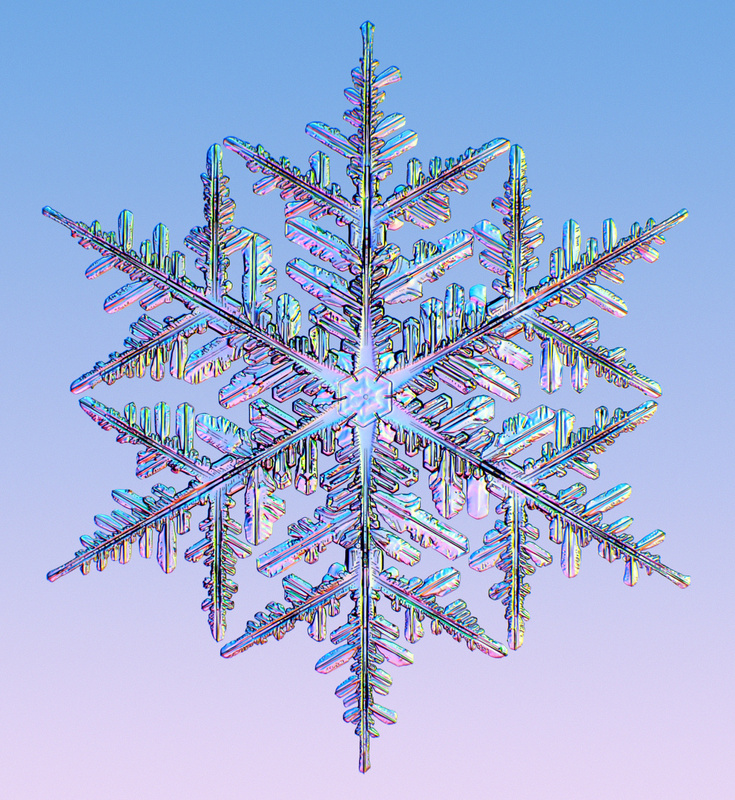 Welcome April 6th! Do something to make somebody happy today. Don't just think about it........do it. Then think about it.............and how you just made somebody's world a tiny bit greener. Scroll down and enjoy the latest comprehensive weather to the max...... occurring because of the natural physical laws in our atmosphere. My forecast here on Saturday is not as wet for the next 2 weeks as previous days. Wind map Press down on this on the left with your cursor! Are you sure you want to delete this post: Weather Saturday? By metmike - April 6, 2019, 11:53 a.m.
Warmest weekend of the year! Are you sure you want to delete this post: Re: Weather Saturday? By metmike - April 6, 2019, 11:58 a.m.
Fluctuating, with contrasting temperatures.....................chilly end to next week! Are you sure you want to delete this post: Re: Re: Weather Saturday? By metmike - April 6, 2019, 12:01 p.m. Widespread above average for much of the country for much of next week but colder Upper Midwest/N/C Plains surges south late in the week! By metmike - April 6, 2019, 12:03 p.m.
Are you sure you want to delete this post: Re: Re: Re: Weather Saturday? By metmike - April 6, 2019, 12:35 p.m. Heavy band C.Plains/U.Midwest, Heaviest much farther south............drier slot in between. Are you sure you want to delete this post: Re: Re: Re: Re: Weather Saturday? By metmike - April 6, 2019, 12:36 p.m.
Air has moistened up. Deep moisture surging north from the Gulf. IT's BEEN DRYING OUT IN THE SOUTH BUT IT WILL GET WET AGAIN THERE! By metmike - April 6, 2019, 12:38 p.m. VERY wet but its been drying out(too much in the south).................with lots of rain coming up in some places but not as wet today in the 2 week forecast. By metmike - April 6, 2019, 12:39 p.m. Currently, there is 0% of the Cornbelt/Midwest with drought. There is no place even slightly dry there. The South has been really drying out recently but heavy rains coming up should wipe out some of the dryness in that area. The market will be keying on precip forecasts for planting concerns for the next month. By metmike - April 6, 2019, 12:48 p.m.
Last Friday: Watching the southern stream for the potential of excessive rain events. 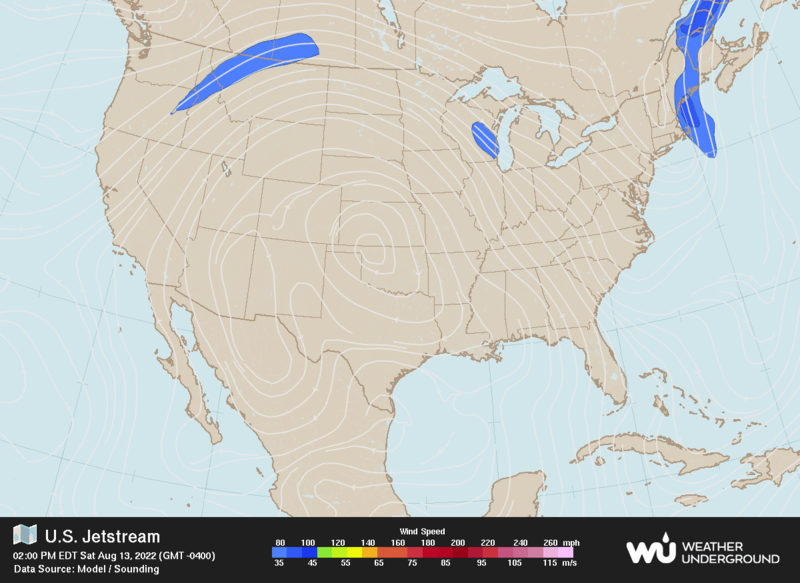 Upper level ridge in the Southeast and upper level trough in the West are ideal set up. Saturday: Setting up for the excessive rain events in week 2 from S.Plains to points east/northeast. Sunday: Not sure on where the wettest weather will be now but still leaning to S.Plains for heaviest. . Looks active but more progressive. Monday: Still wet as we go into mid April. Will the upper level ridge in the Southeast be strong enough to keep the flow from being progressive? Any amplification of the ridge or upper level lows/troughs in the southern stream will result in some excessive rains. Tuesday: Very wet from the southern stream. Looking at the potential for excessive rain events in the S.Plains and points east/northeast again.....depending on how stout the ridge in the Southeast is. Wednesday: Much drier for this ensemble model and run at the 2 week time frame. Also cooler in the Midwest/East. Will ridge West/trough East couplet in Canada to Upper Midwest take over and suppress the southern stream? Thursday: Yesterday, the Canadian ensembles were the only model to look much drier. Today, they are much wetter and back to the old solution, so yesterday was a fluke. In fact, they and all the other models are the wettest yet for week 2 of any forecasts going back some time. Potent southern stream and cut off low potential with excessive rains from the S.Plains to point east/northeast. Still several members that like yesterdays colder and drier solution(especially Upper Midwest) with a stronger northern stream. Friday: The mean looks more zonal today for both the southern and northern stream. This results in milder temperatures in the north and less precip most places, especially with the less amplified southern stream. Saturday: Less zonal but the upper level low/trough from the southern stream on numerous solutions, backs up so far west that it results in a warmer and especially drier Midwest. By metmike - April 6, 2019, 12:58 p.m.
Last Saturday: Active Southern stream. Heaviest rains, possible flooding from S.Plains east/northeastward. Sunday: Active and wet with southern stream dominant. Monday: Wettest weather in the S.Plains. Tuesday: Wettest weather in the S.Plains but now with the potential of an upper level low in the Northeast, a possible northern stream and cooler temperatures in mid April. Wednesday: Southern stream looks more active on this model vs the Canadian , especially the 6z run after this one below. Thursday: GFS ensembles continue VERY wet from a powerful southern stream. 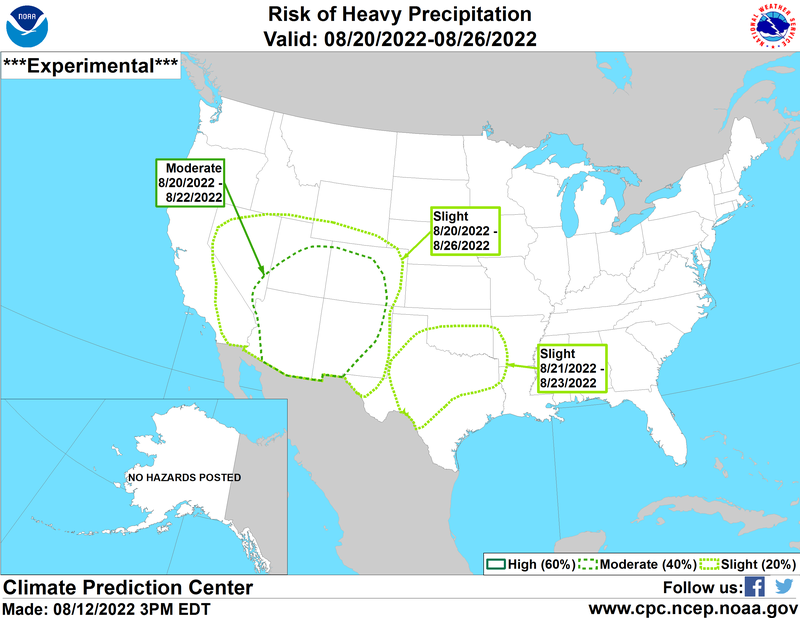 Southern Plains to points east/northeast have the highest potential for excessive rains. Friday: This model still has a pretty potent southern stream and deep upper level trough on many solutions.......favored towards the west. Saturday: Not as wet with less upper level ridging in the Southeast. By metmike - April 6, 2019, 1:01 p.m.
Last Monday: Positive height anomaly in the Great Lakes means mild weather. Extension of that westward....possibly protecting that area from the wet southern stream which will define the (WET) weather over much of the US. Tuesday: One noteworthy and potentially huge change. The negative anomaly in the West has been shifting farther west............now out in the East Pacific and growing. This could be so far west that it induces downstream ridging farther west and shifts the storm track far enough west so that the Gulf of Mexico is not wide open all the time. This is why my extended range forecast is a bit drier today, taking this into account. Wednesday: Similar anomalies to yesterday but my analysis, suggesting a potential to turn drier may be flawed. This, because of the new negative anomaly in the S.Plains, induced by energy eminating from an El Nino drive southern stream. This, in combo with the positive anomaly in the Northeast, spells very wet weather for the S.Plains and points northeastward. Potential for excessive rains(more favored in southern locals at this time) with the Gulf of Mexico wide open. Thursday: A growing new positive anomaly in N/C Canada on this run. Will it mean anything with regards to the northern stream down the road? Southern stream and heavy rain threats are still the main show for the US, especially around the S.Plains and points east. Friday: Still positive anomalies in the East/Northeast and today's southern stream negative anomaly center in the far Southwest.......favorable for moisture to gush north from the Gulf of Mexico and southern stream energy from the tropics/El Nino to be aimed in that direction. Saturday: Big change in the positive anomaly centers. The one in the Northeast weakens with a new, greater one from central to Northeast Canada associated with the northern stream that "could" turn things chilly in mid April if it were to strengthen..........speculative. Not much speculating on the southern stream being strong. Just a matter of where its going to be aimed for heavy precip. Sunday: Active southern stream. Where will it be aimed? Monday: Anomalies not that impressive. Tuesday: Anomalies changing quite a bit. A new positive one in Northwest Canada across Alaska(another around Greenland) with the positive anomaly in the Northeast that was the main one last week, being replaced with a negative anomaly in Southeast Canada. This suggests the increasing potential for chilly weather in mid April. It could also dry things out in the Midwest by suppressing the southern stream farther south, into the S.Plains. Wednesday: New anomaly centers continue from yesterday. Positive Northwest Canada to Alaska, negative downstream to the southeast. Should mean cooler mid April weather. 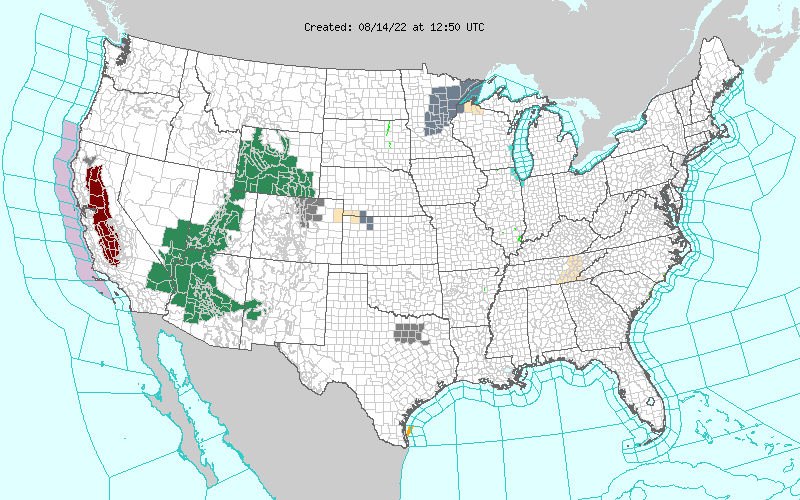 Will it also dry things out in the Upper Midwest/N.Plains and suppress the southern stream south? Watch the upper level ridge in the Southeast. If it holds, it will be very wet in the S.Plains. Thursday: Anomalies in the high latitudes, N.Alaska across the N.Pole to NE.Canada and negative anomolies in the S.Plains increase chances for cold in Canada to travel south but the big story is going to be southern stream energy.........and where its aimed. This will be defined by the negative anomaly in the vicinity of the S.Plains and positive anomaly in the far Southeast(which pumps up the moisture and blocks the progression of the large scale upper level low to its west). How wet it gets will be influenced by how amplied these features are. Friday: High latitude positive anomaly is undercut by Pacific flow/disconnected from a downstream negative anomaly which would establish a couplet for moving cold air south. Still a negative anomaly in the Southern Plains and vicinity associated with the Southern Stream. Saturday: Southern stream negative anomaly shifting west of Plains, slight positive anomaly in the Midwest suggests potentially much drier....and warmer. By metmike - April 6, 2019, 1:07 p.m.
Last Saturday: AO really plunges now, to moderately negative. NAO to around 0 from positive and PNA a bit positive. Keep this up with gusto and the mid April forecast might turn cooler but we're a long ways from that and they indices are not as powerful for northern stream insight/affect on the US in the warmer months. Sunday: AO drops to negative, not as much as yesterday..............less cold threat. NAO has a very wide spread on both sides of 0. PNA slightly positive. Monday: AO a bit negative. NAO drops to near 0. PNA a tad positive. Weak. Tuesday: Stronger signals today. AO more negative......and favorable for cold air to be flushed from high latitudes, towards the mid latitudes. NAO now negative........more favorable for penetrating of cold into the Midwest/Northeast. PNA is slightly positive and increasing which also assists with those indices in increasing some chilly risks in mid April and beyond. Wednesday: AO goes negative much sooner and in week 1, then drifts to less negative at the end of 2 weeks. NAO spikes to negative then recovers to less negative at the end of week 2. PNA slightly positive. Turning cooler next week. Thursday: AO plunges to VERY low values next week with the NAO also diving much lower into negative territory. This, in tandem with much cooler forecasts as air from higher latitudes makes its way into middle latitudes. These indices bounce a bit at the end of 2 weeks. If this were January, it would be pretty bullish for ng. The PNA is a tad positive. Friday: Negative AO bounces up towards zero near the end of 2 weeks, just like the NAO. PNA is a tad positive. Saturday: Negative AO and NAO with chilly weather late week 1/early week 2, then they recover towards zero and temperatures warm. PNA.close to 0. By metmike - April 6, 2019, 1:08 p.m.
Overnight forecasts for this period were milder and not quite as wet.......for the 2nd day in a row!!!!! Spring outlook from the NWS. This is a HUGE deal to the grains, especially corn because planting, ideally can get going by the end of April and needs to be done in May. Many traders/forecasters are drawing similarities to 1993 and the historic flooding of that year because that was the last time conditions were like this. Each year is different. One thing is certain. The market will NOT be concerned about drought during planting and the early parts of the growing season. Surface and subsoil moisture is completely recharged almost everywhere. By metmike - April 6, 2019, 1:10 p.m.
By WxFollower - April 5, 2019, 12:43 p.m. It is getting quite dry in much of the SE US. So, rain is needed. Upcoming warmth will exacerbate the problem. By metmike - April 5, 2019, 7:53 p.m. I've noted how dry that its been recently in the South and it's too dry now in a growing area(I just updated the drought monitor map above). The pattern coming up could take care of that quickly if the zone of heavy rains is far enough east. Excessive rain risk for the week 2 period below. Note the HIGH risk area for the first time by the NWS. By metmike - April 5, 2019, 8 p.m.
IFF this would verify, it would be bearish corn.. Above temps to warm up soils nicely and as long as rains are not above average, things will dry out enough to get the crop planted in timely fashion. Cold would be bullish as well as above precip............and there is plenty of that in the next 2 weeks but it doesn't really count as much until the end of the month, if it still looks cold/wet. Please provide comments using the online survey. By metmike - April 6, 2019, 4:49 p.m. Heaviest rains still look like they will hit south of the Ohio River the next 2 weeks, with another area of heavier rains in the NorthCentral US.\Upper Midwest. possibly drier in between............low confidence that the 12z GFS operational model below will verify like this.